Hello! Thank you for visiting my shop. <3 Please know that this item was handmade by me on my sewing machine (not in a factory!). This is most likely the last of the Knitmare on Elm Street items. This zipper pouch was made using Knitmare on Elm Street fabric. I gave the pouch a white zipper and a solid pink lining. The background on the fabric is brown, but it’s rather difficult to photograph. 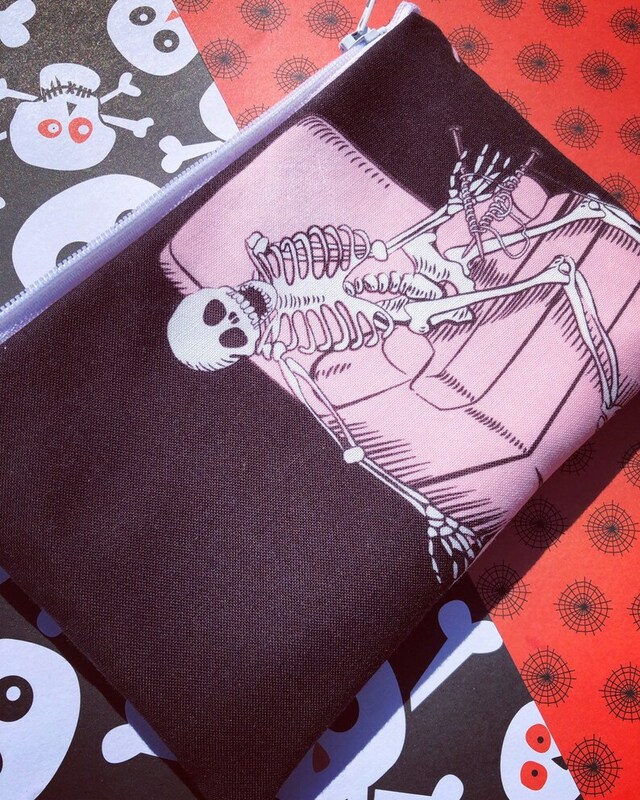 Emily the Strange Zipper Pouch: Skulls, Black Cats, Alone. CLEARANCE Rainbow Leopard Print Pouch: Skull Pocket with Star Button. On Sale.